My problem is this: I'm a 58 year old lady and would like to know a bit more about being a Muslim. I have read a lot via the Internet but get so confused about which is 'correct' and which is just 'fiction'. My 'background' has always been Christian, but have never really been 'drawn' to it, if you can understand what I mean? I've felt that it doesn't fulfil me in any way that it should. Am I wrong for feeling that? I have quite a lot of wonderful Muslim friends around the world and I find I am being drawn closer to Islam every day. I just sit and cry sometimes as I am so confused as to 'how' to go about becoming Muslim. I have read the Qur'an and I love what it says - so different to what I expected. I know I have to say the Shahadah to become a Muslim, but does it have to be said in front of witnesses to be 'legal', so to speak? I know it has to be said in Arabic, too, and so do the daily prayers. How do I know if I am pronouncing them correctly? Do I have to tell my family if I convert? I really don't know 'how' they would take it, either. I do know they have a very closed mind with regard to anything Muslim. They don't really understand what Islam is about, if that's a better way of putting it. I have told them previously that it is nothing like they expect at all!! They don't seem convinced. My daughter, who lives in the U.S. may accept it more than my son and his wife will, as she studied Islam at College as part of Sociology. I know the prayers are said 5 times a day - more for Ramadan. Where I work, they may not understand it if I have to go and pray as I am a Supervisor so it is very hard to just 'walk off' the floor to go and pray. They are not very 'accepting' either. They told me once "you're not getting religion, are you?" We do have a very small Muslim community where I live - around 130 - but I'm not sure 'how' to approach them for help. BUT, I do know I do not want to be 'Christian' any more. Am I WRONG for feeling that? Alhamdulillah that Allah is guiding you to Himself by way of Islam! It's very prudent of you to seek guidance on which information you're getting about the religion, because as you are beginning to see some bits of it are more valid than others. Islam is such a comprehensive religion, and the structure of it so detailed, that it would be difficult for anyone to do a fair yet thorough job explaining it all here. It's a religion you have to take one step at a time, one bit at a time, as you are capable. That's why it is better you start your journey with someone you feel comfortable with and trust. You mentioned having several muslim friends- I'm sure any of them would be willing to help you seek answers to specific questions and also help you understand the religious practices themselves. Don't hesitate to use them as a resource, because you may or may not get the support you're seeking from the local islamic community. Some are better than others, but it's just better to have people you're close with and who know you well in case the community you are near is not as welcoming. Becoming Muslim is not rocket science. If you've become familiar with the basic pillars of belief, and believe in them, that makes you a muslim in essence. Saying the shahadah is just formally expressing that belief that there is only one God and Muhammad SAWS is His Messenger. Therefore, there's nothing special you need to do to make it "legal", you don't need witnesses, and contrary to what you thought- you don't need to say it in Arabic! As far as the prayers are concerned, you aren't required to learn them in entirety right away. It's ok for a beginner to learn the movements first and then work on learning how to recite the surahs and phrases for the different positions. In any case, it's better to have a female work with you to learn them correctly. Telling your family will be something you will have to do when you feel it's right and in your own way. There is no right or wrong in how to go about that, or when to do it. Being in the west, and having relatives who misunderstand islam, is a reality. We have to be sensitive to those around us and also wise how we share our faith. This holds true for work as well, and if I were you I wouldn't worry so much about how to make your prayers while there as much as just buidling a solid foundation of faith and understanding of what it means to be muslim. With time, you will naturally make adjustments as you need and are convicted to do that work with your life as it is. You can feel free to ask any further specific questions here that you like; we are all happy to help any way we can. If you can tell us where you're located we can also try to help you find reliable Islamic resources that may be nearby. Amy, thank your very much for your advice. I do hope I have written the 'greeting' correctly!! I am just trying out my Arabic here. I apologise if it is wrong in any way!! It has been a month since I posted my question on this site and some things have changed since then. Firstly, I have told my daughter, in the U.S. I was converting to Islam. I was quite surprised to learn that it didn't matter to her at all. She said it was my decision to do so and it is personal, as far as she was concerned. I have also told my daughter-in-law. She wasn't 'impressed' with the decision, as she said she would not convert herself, because she does not believe in a lot things that Muslims do. But, she, too, said it is my decision and is personal. My son, well, that's different all together!! He is dead-set against anything to do with Muslims!! I've told him I am still the same person, I'm still his Mother. That hasn't changed. I still treat him no different than before. I still love my 2 granddaughters the same as before. I just believe in a different God, that's all. That is Allah. I did say I have some Muslim friends, too. But, they live in Amman, Jordan. They have helped me too, in a lot of ways. Helping me prepare for Ramadan in July. But, I am going to take that slowly, if that is permissible for a new Muslim? I have also been able to get a CD with the prayers in Arabic, but I do find them very hard to get the pronunciation 'correct', which I what I want, before I begin to start praying. I am a very shy person, by nature. So I find it hard to 'ask' for help here from the local Muslim community, although, I'm sure, they would gladly give it!! I am taking things slowly so far. But, I will say this, I have not been disappointed with my decision to convert to Islam. My Muslim friends have been wonderful so far, and they continue to support in so many ways I could not imagine. I'm going to begin by addressing you with the greeting of peace: Assalaamu 'Alaikum, and may the blessings and mercy of God, our Lord, be with you forever and always. I'd like to respond firstly to your introduction, 'my problem is this'. In my personal opinion, you face no problem at all. A struggle, maybe, but not a problem. Embracing Islam is most certainly not a problem - embracing Islam is a cause for much joy and happiness, for you have turned to your Creator in a manner most humble and exceedingly beautiful. I heard your story and I smiled - truly I know that God is guiding you to His true path, and I pray that others, like you, will also be rightly guided. There are many misconceptions about Islam and Muslims, as I'm sure you're aware. Yes, Islam shares many similarities with Christianity and Judaism, but it is also quite different. The key difference: belief in One True God. Those who believe in God as One are, in fact, Muslims. If that is also your belief, then I firmly believe that you are within the folds of Islam already. To those who claim that you can believe in God as One and remain a Christian, (as you would perhaps currently identify yourself), I simply ask them to look into the belief system of Christianity. Christian teachings are simply not monotheistic as they once were. We believe that Muhammad (pbuh) was sent to mankind as the final prophet and messenger, to correct and clarify this misunderstanding. As an English speaker, I would advise you to get your hands on two books. The first is a translation of the Qur'an by Abdel Haleem, which is much more accessible to a modern audience, containing contextual points that will aid your understanding of our Holy Book. The second is a book named 'Muhammad', by Martin Lings, which should give you a deeper understanding into the life of this amazing man. You mentioned 'how to become' Muslim: the Shahada. This is to testify that you believe in Allah (the Arabic word for One True God), and that Muhammad (pbuh) is His final Messenger. That's it! The Arabic must be said, though the fact that you're not a native speaker will be accounted for, so have no fear in trying - it's very important to convey the exact message and meaning. Your knowledge of the language will improve in time, it's a steady process and no one expects this to change overnight. “I bear witness that there is no deity of worship except Allah." Such a simple statement, yet your past is wiped clean and you begin your life as a Muslim. That may seem a scary concept, but it's the first step to building your relationship with your Lord, the first leap on your journey to the pleasure of God. What matters most is your intention. 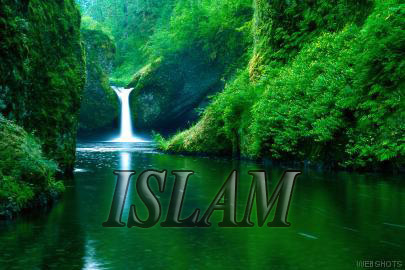 If you intend to say this phrase and become a Muslim, then you have said the Shahada. It may be preferable to do so in the company of another so that they can testify for you on the Day of Judgement, however God knows all, and most certainly what is in your heart. As you have noted in your message, there are certain requirements set for Muslims to meet and rules for them to follow. As your belief strengthens and your heart opens, you will begin to embrace these practices as they deepen your connection with God. Prayer is a beautiful example of this. Prayer is a conversation between you and God, a moment wherein you can poor out your heart and mind and soul, seeking guidance and forgiveness and knowledge that will benefit you. Never overcomplicate this. Yes, in Islam, there is a ritual prayer offered 5 times a day, as commanded by God. Learning this will come with time, and having someone knowledgeable who can teach you will help. There are a wide range of resources available for you, from books, DVDs, youtube videos and articles online - all will explain this in more detail. Alongside prayer, Muslims must offer fasts during the month of Ramadan, Hajj (pilgrimage) once in their lifetime, and give a portion (2.5%) of their wealth to charity annually. What may seem like strict religious rulings to you now, have a deep wisdom behind them, and exploring this is truly an inspiration. What worries every new Muslim is the effect that it will have on those closest to them. What they often fail to keep in mind is that by obtaining the pleasure of God, you will obtain the pleasure of the people. Islam beautifies things, and it will surely beautify you as an individual - from your manners to your character and the worship you offer - and this has a great impact on the way that people will perceive you. Whilst conversation with those closest to you may be difficult to initiate or maintain, actions often speak louder than words. Furthermore, your Islam does not have to be declared to the world for all to hear. It's about your relationship with your Lord, the All Hearing, the All Seeing, the Guide, Knower of All Things - it may be something you choose to keep private. Allah is with you. Always. You will find brothers and sisters in the Muslim community - in person, online, in publication or otherwise. We're always at your service, for it's our duty to aid you in your journey and we'll be answerable for that. Get in touch with the Muslims of your local area and express your interest in Islam, your concerns, troubles or questions. And question, always question. People will overcomplicate things for you at times, and they may even advise you in a way that seems ludicrous, but they have your best interests at heart. My sister, my advice to you is not to delay what you know to be the truth, for fear of the people or how you're perceived by others. I did a similar thing, before I realised just how much I needed the pleasure of my Lord more than I needed the approval of society, and with that I found strength and guidance and aid when I needed it most. I reverted to Islam almost 2 years ago at the age of 17, and my journey has not always been easy, but it's been an absolute blessing and something I would never ever exchange for anything in the world. And lastly, enter into Islam with an open heart and mind, and never lose that. My best wishes in your journey. May Allah grant you the greatest blessing of all - Islam - and make you amongst the righteous on the Day on Judgement. I pray each and every one of us may be united in Paradise. Thank you for your kind reply. You will notice that I like to reply, personally, to each person who has taken the time to give me valuable advice. I have also said the Shahadah: both in English & Arabic, hopefully, correct!! It's just it is so 'new' to me and very overwhelming...........but I am just going to start by learning the different postures, which are required for prayer, first. Then I will introduce, slowly, the different prayers in Arabic. I have also taken note of the 2 books who mentioned and I will try and get a copy of each of them. Our closest Islamic Bookstore is in Brisbane. One question: if you don't mind me asking? Sometimes I would like to pray at home - but can you use 'pre-loved' or 'pre-owned prayer mats? I volunteer for a well-known charity here and we had 2 beautiful prayer mats come in. My Manager refused to put them in the store for sale - she has a very narrow mind when it comes to anything Muslim - it's a church-run charity, which surprised me so much!! I bought both of them and I love them. She wanted me to thrown them in the rubbish. To me, that seemed so wrong to throw something away that could be re-used in a positive way. I hope that is alright to do that . I even bought a second-hand Qur'an with English/Arabic text as well, although it was damaged, but that didn't worry me at all. You say you converted to Islam 2 years ago. Well, I hope I am as happy as you seem 2 years from now, as well. I wanted Meghan to reply to this since you asked her, but since she hasn't I didn't think it was right you should keep waiting for a response for such a simple question. It is perfectly fine to use second hand prayer rugs, so long as you wash them before you use them to make sure they are clean of course. In fact, it's not required for you to pray on a prayer rug; many of us have used towels, clothing, paper, or any other clean item to pray on if we didn't have a prayer rug handy. It's not about what you use, it's about ensuring that it is clean. The purpose of the rug is to cover any filth that might be on the bare ground so that you do not come in contact with it while praying, so anything that can achieve that same purpose will do! But I do think it's fantastic that Allah blessed you with those so quickly, masha Allah. As far as the response you gave me, regarding fasting in Ramadan: since this is your first one, and it happens to fall this year during the long, hot summer months, I would encourage you to take it easy since you are new to this. Go ahead and start off as you can, but if it becomes too difficult, just do the best you can. It's going to be a bit of an adjustment eating so early before sunrise, and going all day without putting anything in your mouth (even water). May Allah make it easy for you! As far as the prayers, when I first converted I learned the positions first. I was taught that I can simply say "Subhanallah" when in each position, and "Allahu Akbar" when in transition into each. I prayed that way for several weeks while I learned Al Fatiha and Surahtul Ikhlas. You can do the same, in shaa Allah, and that way you can begin praying right away and still take your time learning the Arabic. You have to understand, in the prayer itself, there are parts that are absolutely required, and parts that are not. So in your case, it's better to learn the mandatory parts first, which consist of Al fatiha (which is said during each cycle, or as termed in arabic: rakat), some recitation of Quran, (surah ikhlas is usally the easiest to learn first, and this is to be recited after Al fatiha in the first two rakats only), and the tashahood which includes a reaffirmation of the shahadah (which is said when kneeling on the ground at the end of the 2nd and 4th rakats [3rd, for maghrib prayer]). I actually only said the shahada part of the tashahood for many years, only learning the the full required parts of it a few years ago. There are still non-required parts of it I haven't learned. There are also other invocations said during other parts of the salat I haven't yet learned, and I've been a muslim for 12 years. It's my procrastination, though. I hope you'll be better than me! Thank you Amy, for taking the time to answer my question - very much appreciated. To start with - I just felt compelled to buy those 2 prayer mats. I just couldn't leave them there to be thrown out. Someone loved them before me - so I felt it was my turn to take care of them myself!! As for Ramadan in July. Yes, most Middle Eastern countries are in the heat of Summer. Myself, I live in Australia - so we will be in Winter, so it won't be so bad. I am still getting used to getting up before Sunrise to do the first prayer of the day - but, I am sure I will get used to it, even though I do get up around 5:30-6:00 a.m. anyway. I have decided to learn the 'positions' first.........then I will add the mandatory parts next, and go from there, if that is alright? I have a mat that I bought from an Islamic Book Store here, which shows the different positions + the different parts that are mandatory to learn. To be honest, I am looking forward to taking part in my first Ramadan this year. It will give me a sense of 'accomplishment' to some extent........I just hope I can 'live up' to what is required to complete it. I am lucky, as I have some wonderful Muslim friends who are helping me in so many ways to prepare this year for my first Ramadan. I am a very determined person and I am sure I will complete it to the point of what it required of me. I look forward to praying to Allah both now and for the next 30 or more years to come!! Assalaamu Alaikum wa Rahmatullah whalesong! I apologise for my late response. My thanks go to Amy for taking the time to respond, jazaki'llahu khayran. Allahu Akbar! Ma shaa Allah, I'm so pleased to her of your conversion. May God always keep you rightly guided. Amy really has covered everything in her response to you. Pre-loved items often hold a lot of beauty and tell their own stories. My first translation of Qur'an was a gift before I reverted, and how well-read and ear-marked it was (a little battered really) only added to how beautiful it was. I pray that these prayer mats and translation of Qur'an will be a source of much blessing for you! I second Amy's advice about Ramadan. I found my first Ramadan very spiritual, and fasting wasn't as difficult as I had expected. My second Ramadan was more difficult, due to long work hours on my feet and being put in a difficult position by family members when it came to fasting and prayer. God willing, you will find it deeply spiritual. Fasting is a purification and a blessing, and a time where we can really draw closer to God. Make the most of this time! Ask God to aid you in your journey, to grant you guidance, and allow you to reach the end of Ramadan and the next. Friends are so important during this time - make the most of opportunities to break fast with them, to join them in congregational prayer, and reflect on Qur'an together. It's also a great way of learning to recite some Qur'an! I pray that you're blessed with health, happiness, purity of heart and strength of faith. Keep us posted with your journey. I could be wrong but i have noticed that most of the original posters dont get to see our replies because MashAllah there is such a long queue for posts to be put up and till then they have either gotten busy or forgotten or lost intrest or something. I realise that now that the format of the site has altered its possible to register your email to be notified about new posts but i dont think the pending posts have that provision. Is it not possible that you could notify each poster by email that their post has now been put up. We don't have the manpower to manually contact each person regarding their post. But maybe when I have the funds Insha'Allah I can get a programmer to create an automatic notification plugin. Its always the scariest when you think you know what people will say and do, and much less scary if you just dont care. When it comes to priorities, Allah swt is ruler of all other priorities. Thats all you have to know, besides five pillars. Everything else will fall in line once you figure out that Allah swt is the Creator, the Reckoner and all your actions will be questioned on the Judgement day. You only have to tell those who really need to know, like your boss and your loved ones, but just go about it in a matter-of-fact way becuase you dont want anyone to ruin your chance of Janat, or Paradise. When learning about beautiful Islam, first hand sources are best. Find a mosque near you and ask a sister to get you started on some reading, some prayer technique, and some customs of Islam. Nothing should be forced, so do this at your own pace, and try to make friends so you're having fun too. Remember, all the Muslim ladies around the world are your sisters, so dont be shy! Alhamdulilah for your intentions, and Insha'Allah you will be guided to the right path. Allahu akbar sister may Allah accept your efforts and make it easy for u to learn and understand this beautiful religion of monotheism. I am trying my very best at the moment to understand and learn what I need to be able to pray to Allah daily - but I am a very determined person, so I am sure I will succeed!!! Congratulations on taking the best step of your life! Miracles will come each day in small and big ways, and Allah (swt) has given you two prayer mats to choose from! Wow! Of course, you can use them, as they've been making their journey to you, their rightful owner, all this time. Try to find books in Romam transliteration. That'll help you read the chapters of the Quran so that you can easily memorize Sura Al Hamd and Sura Ilklas. Those are suitable for prayer times and are easily said. Start looking ahead to fasting times for Ramadan. It'll help you prepare for the month ahead which is quickly approaching. Right now we are halfway through Rajab, which is known as the month of Allah (swt) meaning this is the special month to seek His mercy and forgiveness. Next month is Shaban which is known as the Holy Prophet Muhammad's (saw) month and then, it's Ramadan, in which every moment is worship of Allah (swt). You'll notice that I use little acronyms each time I mention the name of God or the Holy Prophet. These are meant to signify the greatness of Allah (swt), and to send blessings on the Holy Prophet, respectively. You'll get familiar with them over time. These are indeed great and special days for all of us ahead, but especially for you. So many things are happening in your life, both seen and unseen. Take each day a step at a time and any time you feel overwhelmed, just breathe slowly and relax. Remember that Allah (swt) brought you this far. He won't let you down ever!